When we sit down for a meal, it has become common practice to give thanks for those that have prepared the meal in front of us. However, do we go beyond those that have cooked the food to those that planted, nurtured and harvested the food? Do we thank our farmers enough for growing the corn, soybeans, wheat, vegetables and fruits along with caring for our animals? As sisters that grew up on a farm, we have always appreciated where we came from and the soil under our feet. However, after losing our father, Tim Thomas, in a farming accident in 2009, we decided to dedicate our lives to telling the story of agriculture. Today is National Agriculture Day and we invite you to learn something new about agriculture today and to thank a farmer. If you don’t know a farmer, pray for them as they prepare for planting in the coming months or send a good thought their way when there is too much rain or not enough. You can also show your appreciation by remaining patient as your drive behind a tractor traveling from field to field. Farmers never have a day off–from planting the crops to caring for the land, worrying about the weather, staying up late in the cold to watch a cow have her baby calf to preparing for a days work before the sun rises and harvesting after the sunset. And the worry of the weather, it’s constantly on their minds even in the winter on how much snow will fall and replenish the soil in the their fields. We heard something true recently, “mother nature never takes a day off” and neither do farmers. Today is National Agriculture Appreciation Day but really, to us and many others, every day is agriculture appreciation day. Every day the farmer gets up to tend to his crops or livestock to make sure they are safe and prospering for us. We are consumers, almost everything we use in our day starts with the farmer. We want to help consumers understand the work of the farmer. Below are a few fun facts and websites we wanted to share with you as you learn more about where your food comes from and the families that grow the crops and/or raise the animals. If you have questions, ask a farmer or do your part as a consumer and research the facts before assuming what you hear is true. We have the luxury of having an abundant, safe and affordable food supply in the United States and we need to remember to thank our American farmers for their hard work and dedication. > According to the 2007 USDA Agriculture Census, 95% of farms are family owned and operated. > One acre of soybeans can produce 82,000 crayons. > In the U.S., we spend less than 10% of our income on food versus 18-25% around the world, according to the U.N. Food and Agriculture Organization. > There are 29 different cuts of beef that meet government guidelines. > A cow will produce an average of nearly 7 gallons of milk each day. That’s more than 2,500 gallons each year. > For every dollar spent on food in America, the farmer sees less than 12 cents. Last night I read an article about a woman who frequently flies and loves to meet new people. On one of her flights she was seated next to a 70 year old farmer. She expressed how much she enjoyed listening to his story and how she better understands where her food comes from because of their conversation. If you know me personally or have read some of my other posts on Sarah Sums It Up, you know that I LOVE farmers. They are my favorite people to talk to. I have a family full of farmers and many of my closest friends are farmers. But I must confess that at times I am scared to talk to them. I am scared because it makes me sad that I don’t get to have conversations with my favorite farmer, my dad, anymore. It’s silly really. I will go awhile without talking to some of my family and farmer friends and when I finally do stop to catch up with them, I leave with a smile on my face. I walk away from our conversations thinking, why did I wait so long to stop and say hi and to see how they are doing? I walk away happy. 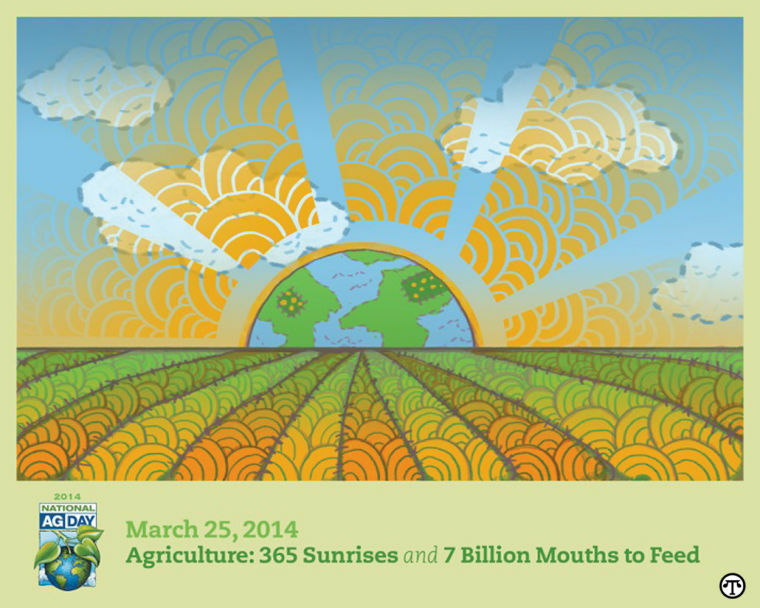 National Agriculture Day is March 25th! Mark your calendars for this great opportunity to start a conversation with a farmer or rancher. To sum it up, if you get the chance to talk to a farmer, do it. Thank you kindly for planting, raising, caring, harvesting and working for the food and pretty much everything I use in my day. Without you life would be pretty bland and cold. I hope you are keeping a positive outlook on your future in the agriculture industry because I and everyone else needs you. I promise to thank God for you and your work every day. I will also continue to do my part in sharing the story of agriculture. To sum it up, I appreciate you and what you do every single day matters. The month of March is Agriculture Appreciation Month! Be sure to continue showing those Farmers and Ranchers that you appreciation what they do. 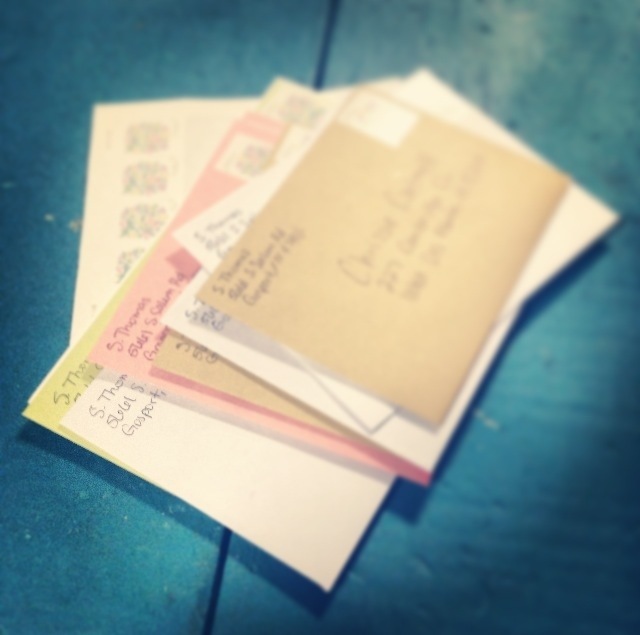 I also took this week as an opportunity to send my favorite kind of mail to friends and family. I appreciate you all too! 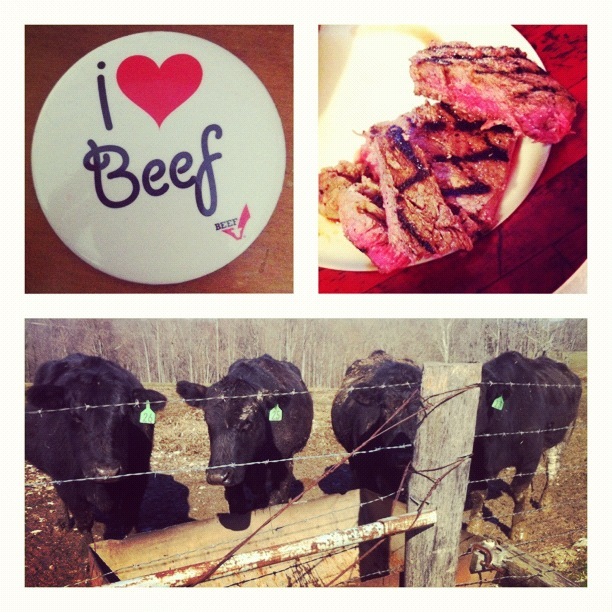 May is National Beef Month! It is also the start of grilling season. Beef is a great addition to a healthy diet. My family raises beef cattle and I know that they have been working hard this spring welcoming new life onto our farm. Growing up on a farm and being an active 4-H member, I learned that animals like beef cattle have a purpose. Their purpose is to provide a source of food. I understand that they are not a family pet, but I also understand that they should always be treated with care. I have faith in my family and other family owned and operated farming and ranching operations, that they take great care and pride in their livestock. Their purpose is providing you and me with a heart healthy protein that we can choose to have in our diet. I choose to eat beef. So, to sum it up, thank you farmers and ranchers for bringing one of my favorite foods to my plate. Today is Earth Day and I will be doing my part by supporting the hands that take care of the land and put food on my table. Farmers are the best stewards of the land. They must take care of the land because it is part of their livelihood. They are responsible for our most precious resource. Today one farmer feeds 155 people. In 1960, a farmer fed 26 people. Our population is expected to grow to 9.1 billion by the year 2050. Farmers will have to use fewer resources, including fewer land to continue providing food, fuel and fiber for everyone. They’ll do it by continuing to develop new technologies and techniques to help them get the job done. And they will because it is their job. 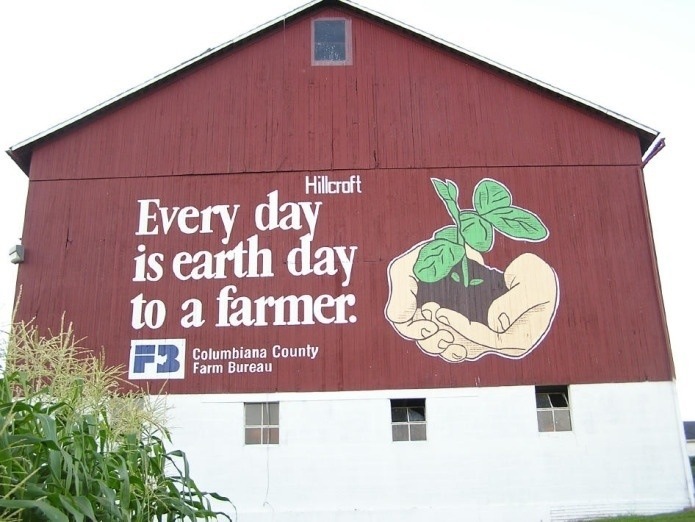 To sum it up, every single day is Earth Day to a farmer. 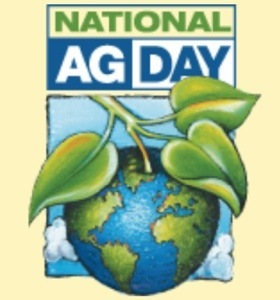 Today I would like for you to join with me in thanking and celebrating all those who work in the agriculture industry. I have been posting a lot about ag here on Sarah Sums It Up because March is Agriculture Appreciation Month in Indiana. But today the ag world gets attention on a national stage. I am very passionate about agriculture and want to help those in the industry share their story. Today I ask you to talk to a farmer face to face or through social media outlets. 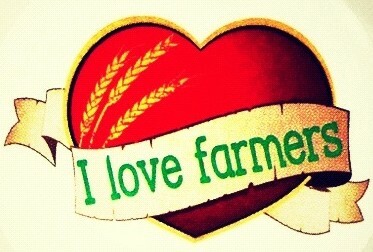 Farmers love what they do and I am sure they would love to tell you about all their hard work. My sister, Katie and I created this newsletter to share today. Please click on the link below to view! To see how others are celebrating and giving thanks today search and follow the Ag Day, Farms Matter or Agriculture Proud hashtags on social media sites #AgDay, #farmsmatter and #AgProud. Please share and create your own ways of thanking farmers for all their hard work they do for you! 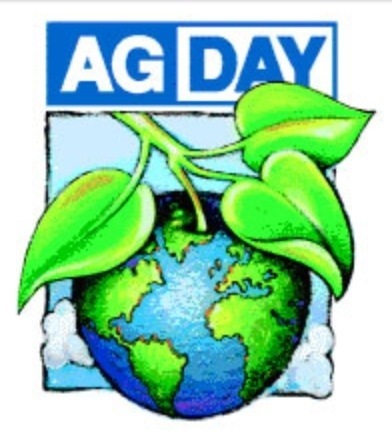 But remember every day is Agriculture Day! !